Rotary is an organization of business and professional leaders united worldwide, who provide humanitarian service, encourage high ethical standards in all vocations, and help to build goodwill and peace in the world. Rotary today is some 1.2 million service minded men and women belonging to some 34,000 Rotary Clubs in 200 countries. Our local club has a stable membership of around 45 men and women. 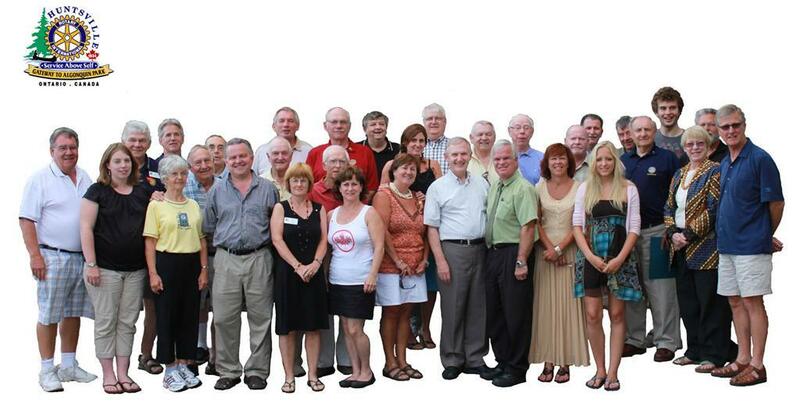 Rotarians enjoy contact and friendship with a diverse group of business and professional leaders in our community. We meet weekly for fellowship and interesting and informative programs dealing with topics of local and global importance. Rotarian’s personal and professional lives are enriched by taking an active role in the local and world community. Each year our club undertakes several small projects and one larger local project, and one or two projects to help very needy people in other countries. The focus of our projects is always on youth, our community, and the very needy. To complete these projects, members derive fun and satisfaction from participating in hands-on work bees and a variety of team fundraising activities. Our club holds several social functions each year that are enjoyed by spouses and partners. Members and partners also have the opportunity to enjoy and learn at annual district and international conferences held at outstanding locations around our district of Northern Ontario, and around the world. 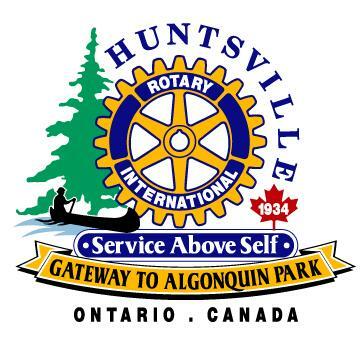 The Rotary Club of Huntsville was charted on May 11, 1934, Harmon E. Rice was president. Visiting guests in order for us to be prepared for your arrival please phone Al's Taxi at 705-789-2374 and leave a message you will be joining us.